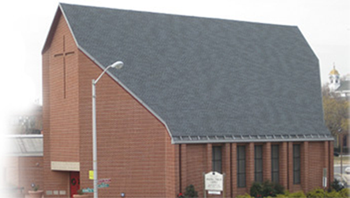 Martini Lutheran Church – Serving and worshiping in South Baltimore for over 150 years! 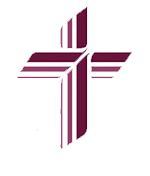 Welcome to Martini Lutheran Church! Welcome to Holy Week and Easter Worship at Martini! Welcome to our website! We hope you’ll check us out. Click the buttons, above. Explore us and our links. Tell us what’s helpful. Get into God’s Word on Bible Gateway. Click on “Devotions,” above for daily time with the Lord in Scripture and prayer. Hone what you believe as you look into What We Believe (see links at right). Enjoy Family – friendly links such as these games and activities. Maybe you’d make us your home page, and enjoy the convenience of Daily Devotions Google Maps and Directions Baltimore Weather Bible Search, and more – all a click or two away! To find some hidden short cuts on our masthead, above, click here. We want to invite you over to church for a Sunday morning or other worship service. You’ll like our free parking, our all-on-one-level architecture, and the beautiful surroundings of church when you’re at worship. You’ll experience good preaching and teaching for all ages. We preach Christ. Martini is determined that people will know the work of God in Christ: in the hearts of all who worship, in the neighborhoods surrounding us, and reaching to the far parts of the earth. We’re glad you came to the Martini Lutheran Church website. Please come back some more!